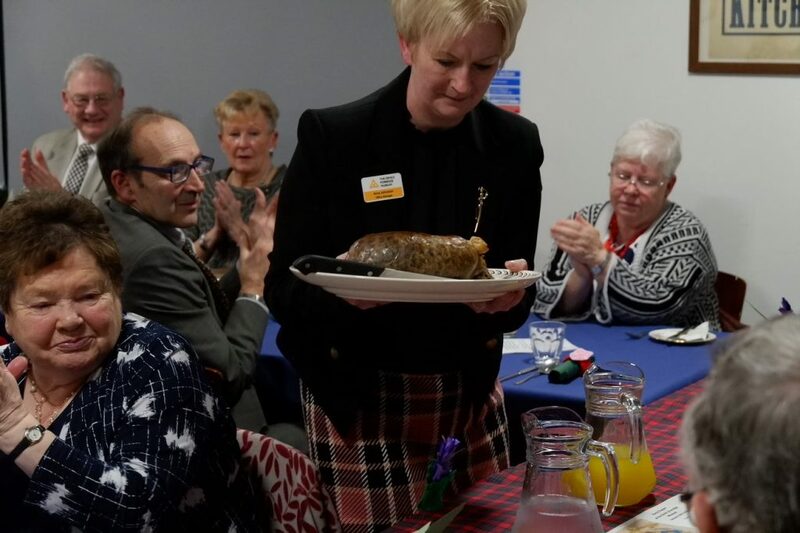 On Saturday January 19th, the Devil’s Porridge Museum in Eastriggs, Dumfries and Galloway hosted a Burns Supper with a difference. Young people were at the centre of everything. 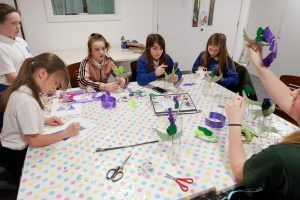 The decorations for the evening were made by the Monday after-school Art and Craft Club and the after dinner shortbread was baked by children who attend the Let’s Bake Club on Tuesdays. When guests arrived, music was provided by 14 year old Eastriggs piper, John Glendinning and then there was a performance of Highland dancing by Rebecca Walker and Rose Oliver. John piped in the haggis which was then addressed by David Gillies. Poems and speeches were then presented and the evening finished with a good old fashioned rendition of Auld Lang Syne.